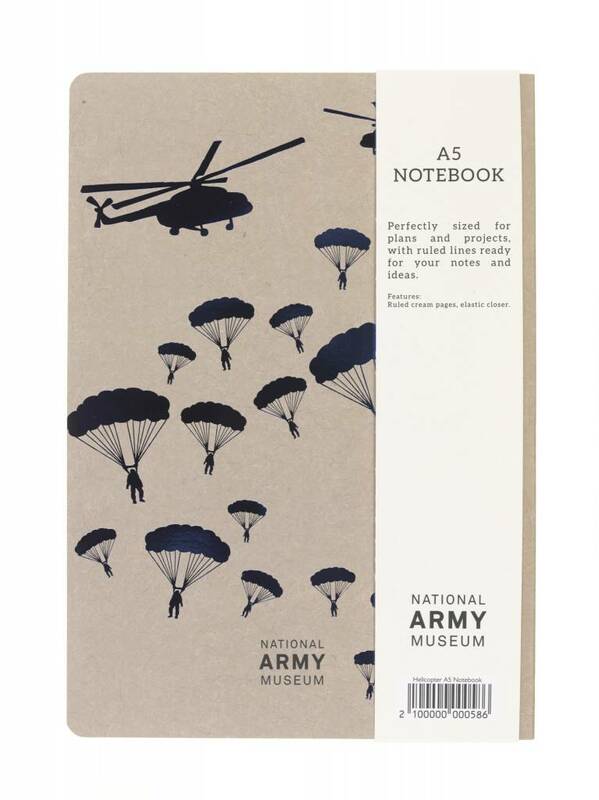 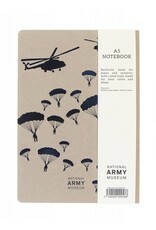 Inspired by our new museum galleries and collections, the Helicopter stationary range has been designed exclusively for the National Army Museum. 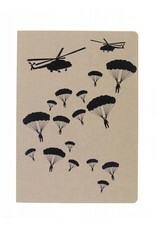 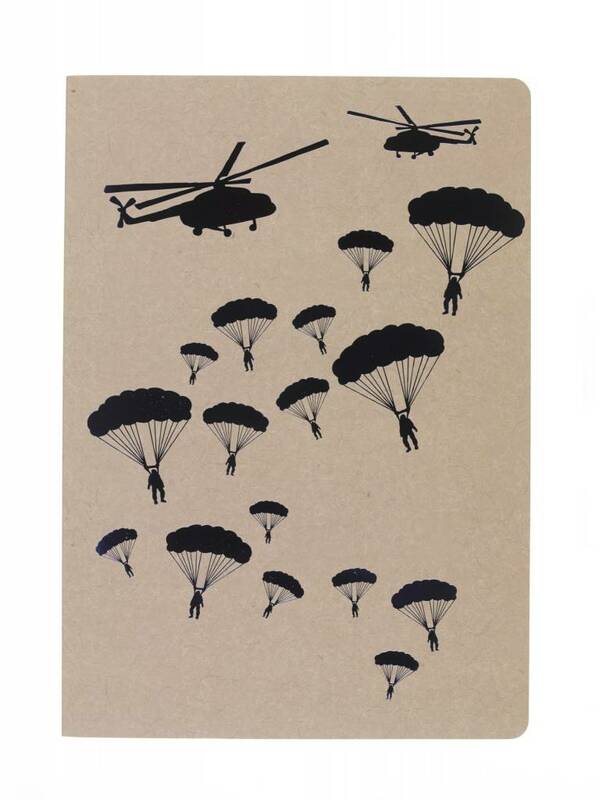 The design features army paratroopers gently gliding through the air supported by their parachutes below a military helicopter. 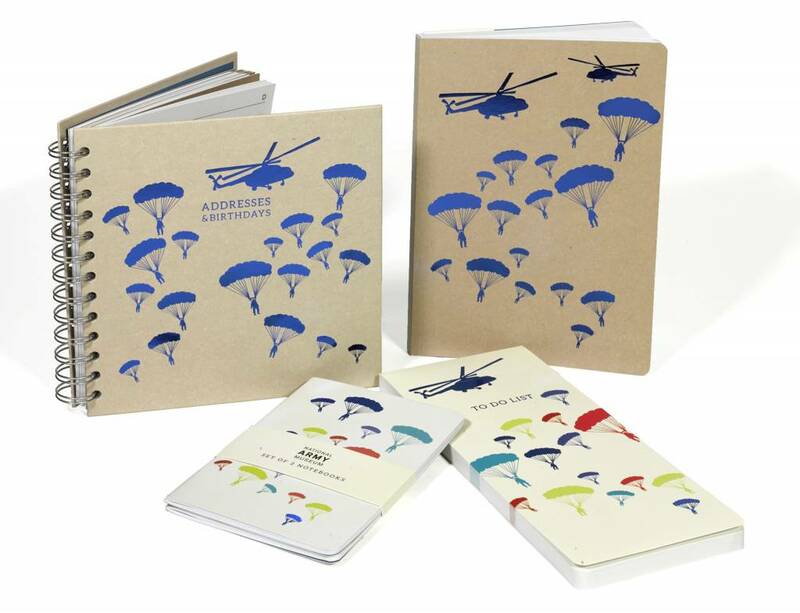 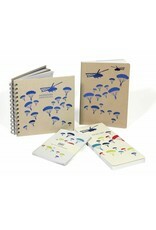 The helicopter and navy paratroopers are embossed with a beautiful blue foil.